HURRICANE – In a brief, early meeting to accommodate neighborhood caucuses, the Hurricane City Council approved two subdivisions but spurned plans for another potential subdivision, whose developer has been waiting nearly 18 years for a proposed development to come to fruition. Council members unanimously disapproved a proposed swap of approximately 1,200 acres of Bureau of Land Management land southwest of Sand Hollow Reservoir, a parcel on the west end of the Sand Mountain Open OHV Area, for 821 acres of equal value west of Green Springs Golf Course in Washington City owned by developer Bob Brennan. Brennan, however, cannot develop his land since the Washington County Habitat Conservation Plan deemed it sensitive Mojave desert tortoise habitat in 1996. The Washington County Commission supports the land exchange, seeing potential lawsuits on the horizon, Mayor John Bramall said, but he and his council are strongly resisting the plan, saying they want a permanent sand dunes recreation area geared towards ATV enthusiasts, who have also been vocal in their disapproval of the land deal. “I would hate to hurt our city’s recreation,” Councilman Darin Thomas said. Bramall said there is other land available from which Brennan could choose. The mayor also mentioned that Brennan thinks he could get the deal done without Hurricane’s approval, but Bramall begged to differ, saying that according to BLM law, Hurricane would have to give its blessing. The council feels it has many allies supporting its position. In other business, the council approved preliminary plats for Zions Gate Estates, a 57-lot subdivision on 4.55 acres located at approximately 150 North 3400 West and Coronado Ridge Phase 3, a 21-lot subdivision on 8.11 acres located at approximately 3200 West between 600 North and Coronado Drive. Now if they will keep their promise to try and keep Canaan Mountain open it will really be a happening that means something. Go Hurricane! 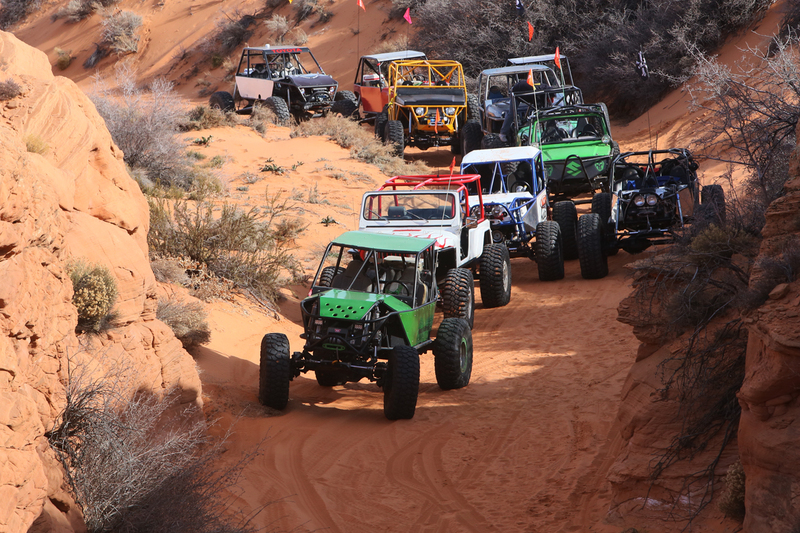 It’s really great to see municipality standing behind offroad recreation! If the area he wants to develop is a turtle habitat, how does that change with a land swap? Do the turtles magicly move to the sand dunes under BLM supervision?